As Team Russia gears up for the Rugby World Cup in New Zealand, RT caught up with fly-half Yury Kushnarev, who explained what it means to qualify for the tournament for the first time. The Rugby World Cup starts in just over a week, and Russia is preparing to make its maiden appearance against the US in New Plymouth on September 15. Kushnarev is going to be feeling the pressure more than most when Russia plays its opening match. 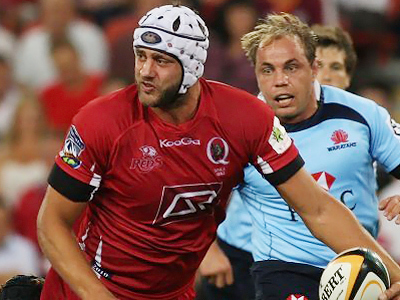 The 26 year old is expected to line up in the crucial fly-half position to serve as the team’s playmaker. Russia’s No. 10 knows his team will be underdogs, but can't wait for the action to get underway. 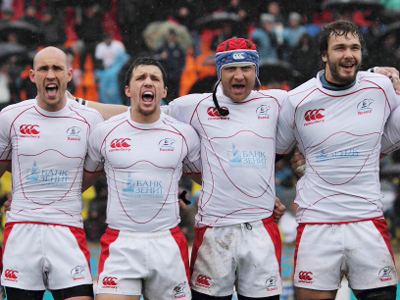 Kushnarev comes from a rugby family. His father used to play for the Soviet Union, and he was born in a town where the sport is firmly No. 1. He has managed to follow in his dad's footsteps, and is now one of the most experienced members of the Russian squad. The Bears will face the US, Italy, Ireland and Australia, and Kushnarev is under no illusions as to just how tough a task his team faces. Rugby, although a growing sport in Russia, still isn't very popular in the country. Kushnarev noted that most of the team’s interview requests have come from foreign journalists. However, the fly-half from the Moscow region hopes a good showing in New Zealand can boost interest in the game in his country. Kushnarev is a versatile player and can play at either fly-half or fullback. And like the rest of the Russian squad, he will take one more step on Russia’s rugby learning curve when the tournament finally starts.